This third animated feature based on Cressida Cowell's book has spanned movies, two TV series, four shorts and a couple of generations of kids. Dragons live forever, says a beloved children's song, but not so dragon franchises. 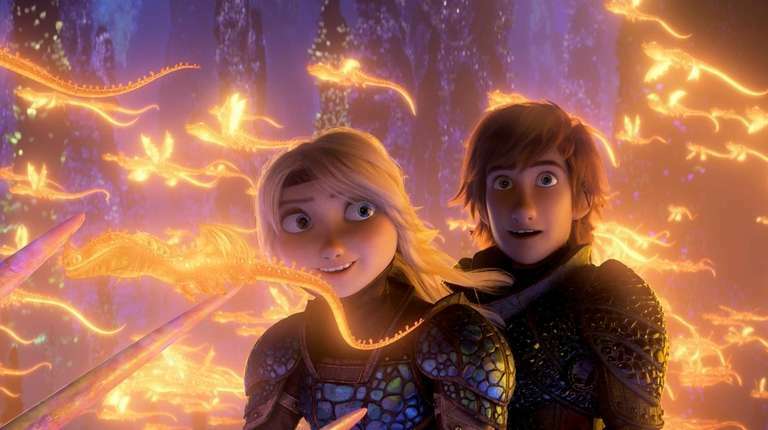 When "How to Train Your Dragon: The Hidden World" opens Feb. 22, this third animated feature based on Cressida Cowell's book will be what its studio DreamWorks calls the end of a nine-year story that has spanned movies, two TV series, four shorts and a couple of generations of kids. "I haven't quite processed it," says Jay Baruchel, 36, who voices Hiccup, the Viking youth who unites dragons and humans and eventually succeeds his father as leader. "There's no population in the world more afraid of making a big fuss than Canadians," the Ottawa-born actor says of himself and the film's writer-director, Dean DeBlois, "so we definitely didn't make a big fuss in the last [recording] session. I won't say mundane, but it was another day at the office. At the end it was, 'Oh, holy crap, that might be it, eh? Well, it's been fun. Shake.' When I get back home to Toronto [after the movie's press tour] and put my pajamas on, I assume then it'll hit me." DeBlois was born in Brockville, Ontario and reared in Aylmer, Quebec. 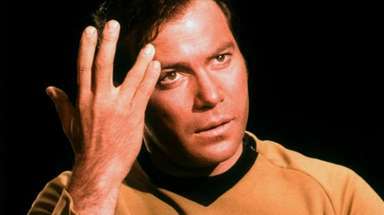 Film series including "Star Wars" and "Toy Story," of course, have continued past a trilogy despite intentions otherwise. But DeBlois, who wrote and directed all three "Dragon" films (the first codirected with Chris Sanders), does not anticipate that happening. 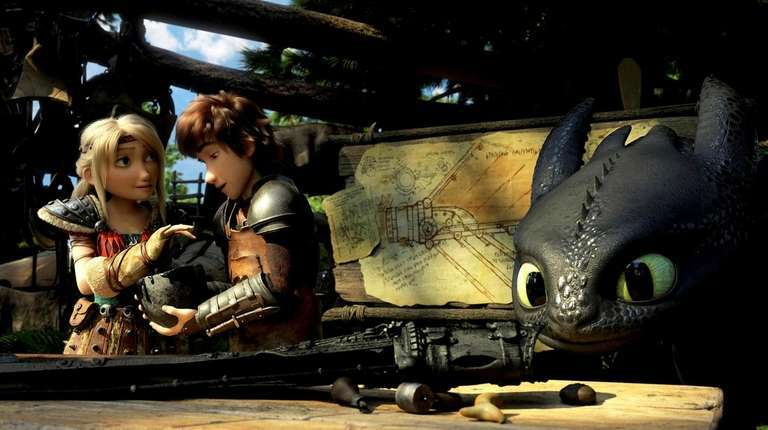 "Who knows in the future — I don't own the franchise — but I think the story of Hiccup and [his dragon] Toothless has reached its end," says the genial 48-year-old. "For me the intention was to do a traditional three-act story and be done with it and to finish it with purpose and a sense of integrity. I would rather have a fan base who would love to see more than to have it go on and on and [have audiences] lose interest." 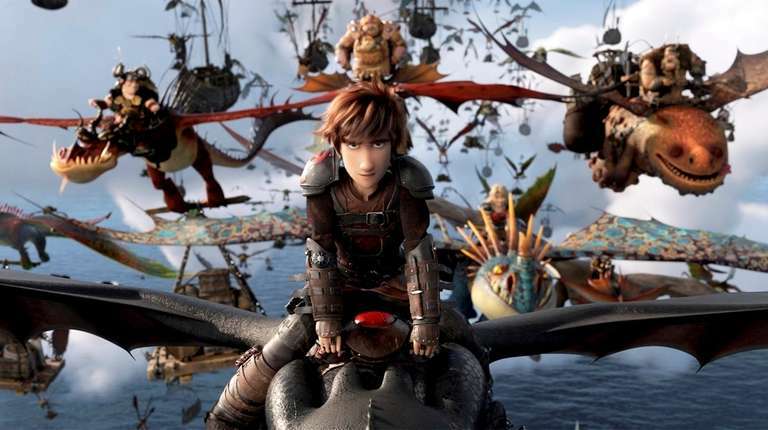 "Hidden World" finds Hiccup, his girlfriend Astrid, voiced by America Ferrera, and their dragon-riding friends raiding the ships of seafarers who capture the creatures. The fleet's captain responds by calling in the fearsome but urbane dragonslayer Grimmel (F. Murray Abraham), who strategically incites the Vikings and their dragons to abandon their besieged homeland and try to find safety in a mythic place where the animals are said to originate. "I think in each of these films, the world for Hiccup changes in a massive way," observes Ferrera, 34. "And I think when you're growing up that's a constant process — the world all of a sudden feeling bigger, scarier, more unknown. In this third film, the world changes in a huge way for both Hiccup and Toothless, and Hiccup has to make the ultimate sacrifice. It's this amazing expression of love." That wasn't always the film's story. DeBlois originally had written multiple drafts in which the villainous Drago Bludvist, leader of the dragon-riding army in "How to Train Your Dragon 2" (2014), would return. "He would have survived the fall to the sea and drifted to shore to what he thought was a deserted island that is actually inhabited by a rather territorial and fearsome dragon," the filmmaker recounts. "His successor has claimed his position as head of the army, so he realizes his only way to reassert his position is to get off that island, and to do that he must befriend this dragon. And so begins this touch-and-go relationship where he has to come to terms with this creature, and ultimately develops an affection for it. When he does ride in to reclaim his role, he has had a change of heart and finds himself fighting on the side of Hiccup." It was DreamWorks co-founder Steven Spielberg who persuaded DeBlois to change direction. "He read an early draft and said it was a noble intention but, 'You're not gonna have enough time to serve that storyline in a convincing way, and you'll be robbing time from what's more important, which is to see Hiccup fully transformed as a character.’ Steven has been so generous with his time," DeBlois says, "reading drafts or seeing early screenings. He's always had some astute things to say, and that was one of them I took to heart." Another significant change was the dismissal of comedian T.J. Miller, who had voiced the character Tuffnut in all the films and shows. 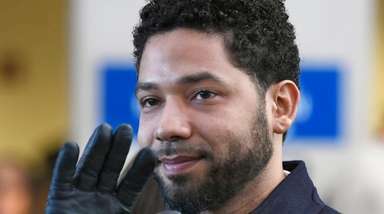 In December 2017, he faced an anonymous accusation of early 2000s sexual abuse, which he has denied and for which no charges were filed or any investigation begun. Then that April, Miller was arrested for allegedly claiming a fellow passenger on an Amtrak train had a bomb. 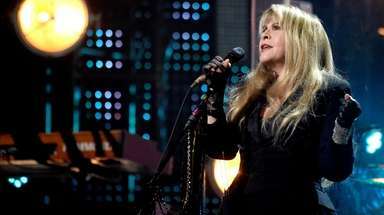 At some unspecified point, he was replaced on “Hidden World" by Justin Rupple. "I don't want to say too much about that, because he's a friend of mine," Baruchel says of Miller. "I've known him for a long time. So, yeah, it's weird, but I get it." Ferrera declined to comment. While the decision "came from on high," says DeBlois, speaking about it for the first time, "I let him know personally, because I have a personal relationship with him, and I do really admire him and like him as a person." 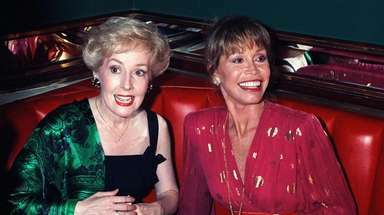 Miller, he says, had done "wonderful work for us on all three movies," including recording sessions for "Hidden World" that had to be discarded. "We were pretty far along when that decision was made," DeBlois reveals. Regardless, as the trilogy now fades like dragons into the mist, having earned $1.2 billion before the third film even opens in the U.S., "It has a full-circle ending," says papa DeBlois, sounding content. "I just want to leave it alone and move on to something else."